Lucky Fortune through the Year. In Chinese Traditions on the Lunar of January 26th is 「Kwun Yin Money Lending Day. 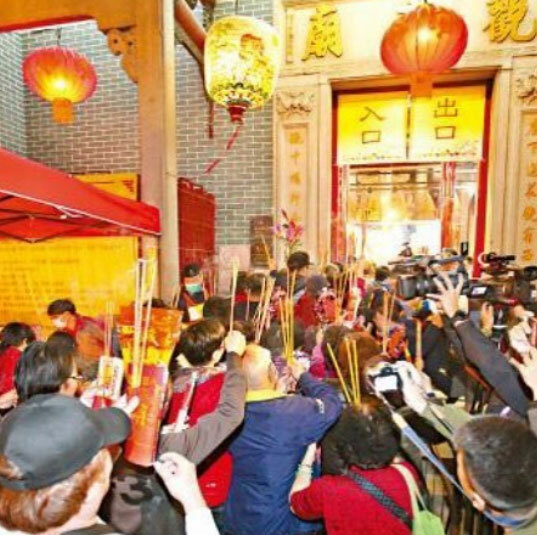 People from 8 directions attends to different temples to pray to Kwun Yin ( Buddha of Compassion) for lucky fortune through the year. The ceremony starts the very early morning and it’s usually very busy on this day in every temple. Everyone wants to receive the Buddha of compassions blessing on this day.